Devon Tennyson wouldn't change a thing. She's happy watching Friday night games from the bleachers, silently crushing on best friend Cas, and blissfully ignoring the future after high school. But the universe has other plans. It delivers Devon's cousin Foster, an unrepentant social outlier with a surprising talent for football, and the obnoxiously superior and maddeningly attractive star running back, Ezra, right where she doesn't want them first into her P.E. class and then into every other aspect of her life. I am a sucker for an adorable YA contemporary, and this book has adorable written all over. Throw in the fact that this one is described as Pride and Prejudice meets Friday Night Lights, and I knew I had to have this book in my life. Devon Tennyson has a life she's pretty content with, until her life is turned upside down when her cousin Foster comes to live with them. Foster has the socially awkward little brother part down to a T, which means Devon wants nothing to do with him at school or at home. When Foster shows some surprising skills at football in gym class, he's recruited for the football team and is befriended by their all-star running back Ezra. Ezra is quiet and most people think he's a jerk, but the more Devon starts to spend with him as she supports Foster in his new found social role, the more she sees beneath Ezra's rough exterior. When I first started this book, I wasn't a fan of how Devon was in love with her guy best friend. That's a tired old cliche that is found in way too many books. What's refreshing about this one, though, is that Devon wasn't exactly obsessing over him, she would just hurt when he was with other girls. That means, though, that she could focus her attention more and more on the dark and brooding Ezra (Mr. Darcy, anyone?) and get closer to him thanks to her cousin Foster. I thought Foster was such a quirky and fun character and I loved how much he changed Devon. He let her see that being different was okay and that you really shouldn't judge people. As a huge Jane Austen fan, I loved every single Jane Austen reference in this book. Devon often compared her life to Jane's heroines and I totally got what Devon talked about. As for the comparison to Friday Night Lights, it was lacking in the awesomeness that is Tim Riggins and Matt Saracen, but I enjoyed Ezra's character and how important football became to them all. Foster was adorable as the kicker and it was great to see his character actually want something and be good at something after this unfair past. As great of a person that Foster was, he deserved a family who loved him. Overall, this book was filled with quirky romance and quirky characters that were lovable and heartwarming. The Jane Austen references were spot on and the small town football story provided the perfect background for Devon's growth in her life and in her relationship with others. 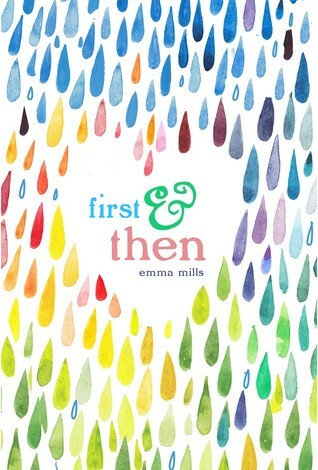 If you want a quirky and adorable book full of unforgettable characters, you should definitely check out First & Then. I'm glad to see that you liked this one! It sounds really good and I've seen it around quite a bit. I may have to give it a shot.